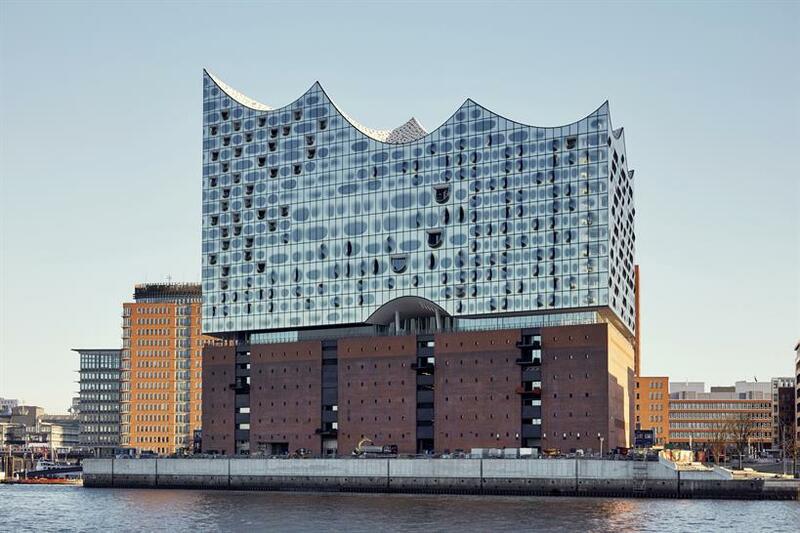 Designed by Swiss architecture firm Herzog & de Meuron, the Elbphilharmonie will open its doors on January 11 and 12, 2017 in Hamburg’s HafenCity, Germany. 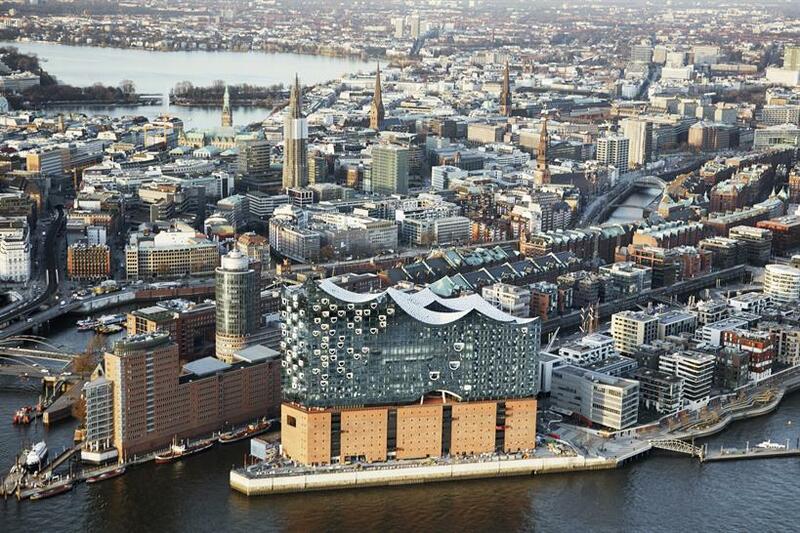 It will be the tallest inhabited building in Hamburg, with a final height of 110 m (360 ft). Situated on the banks of the river Elbe on approx 1,700 reinforced concrete piles the building complex will feature three concert halls, a hotel, 45 private apartments, and a publicly accessible Plaza with a 360° panoramic view of the city. 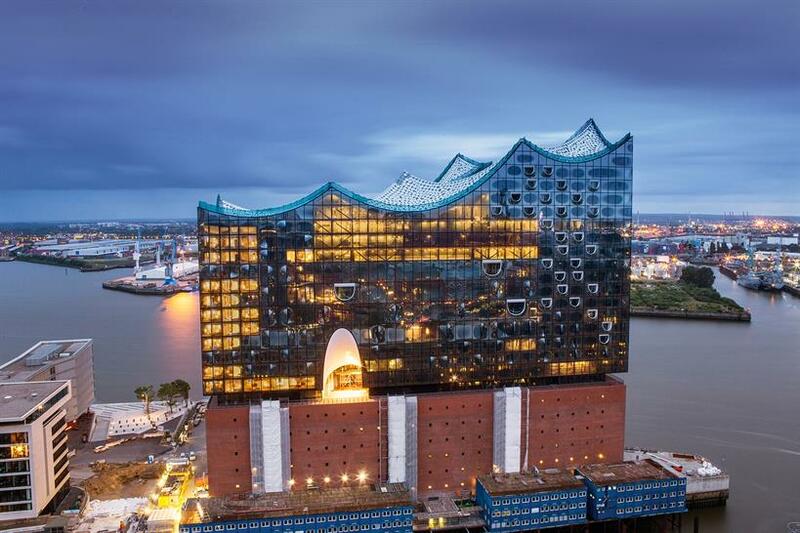 The centrepiece of the Elbphilharmonie is also one of the most exciting structural challenges in Europe at the moment: A world-class concert hall at a height of 50m with seating for 2,100, which is decoupled from the rest of the building for soundproofing reasons. 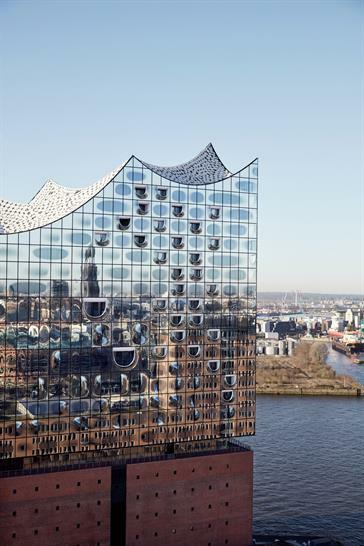 The Elbphilharmonie is the perfect symbiosis of architecture and music at a unique site within the historic city port. The interplay between the archaic appearance of the former warehouse known as the Kaispeicher A and the bold curve of the dazzling glass corpus is the architectural calling card of the Elbphilharmonie. 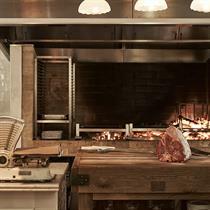 Old and new conjoin in an exciting synthesis. Between the warehouse and the new construction there is an area accessible to the public, the Plaza. Nowhere else is the link between the docks and the city revealed as impressively as here. Visitors will be treated to a unique 360° panoramic view of the city from a height of 37m. Measuring about 4,000 sq m, the Plaza is almost as big as the one in front of the Town Hall and is an ideal place for Hamburg’s citizens and tourists, concertgoers and hotel guests to stroll. On the outside, there is a walkway around the entire building. 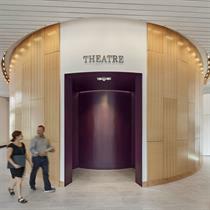 On the inside are the foyers leading to the Grand Hall and the Recital Hall, a café and the hotel lobby. 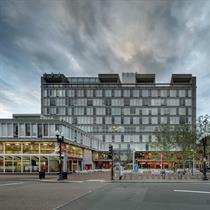 The Plaza will be accessible to any visitor, with or without a concert ticket! 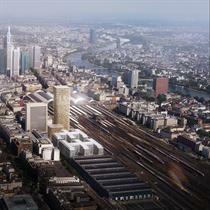 The Kaispeicher A itself will be used as a multi-storey car park with approx 500 spaces. It also houses the spa facilities and conference rooms of the hotel, the music education area, several backstage rooms, and, not least of all, the third auditorium with seating for approx. 170. All this is contained within one building, whose impressive entrance is reached via an 82m long escalator. The escalator has a concave arch so its end cannot be seen from the beginning. The visitor is thus immersed into a glowing spherical tunnel. 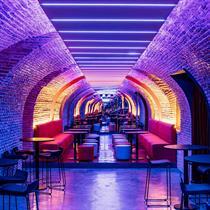 Glass sequins that reflect and refract the lights set the mood for the special ambience of this building. Following the unanimous approval of the city government, construction work began on 2 April 2007 with the laying of the foundation stone. The Kaispeicher A was first completely gutted, with just the brick facades remaining intact. Then a further 650 reinforced concrete piles, in addition to the existing 1,111, were rammed 15m deep into the mud of the River Elbe, so that the building could support the 200,000 tonnes of the Elbphilharmonie Hamburg. On completion of the 26th storey, the last one in the bare brickwork, the topping-out ceremony took place in May 2010. The shell construction was completed in November 2013. The installation of the White Skin in the Grand Hall was commenced in December 2013. The facade was completed in January 2014; the roof was sealed in August 2014. 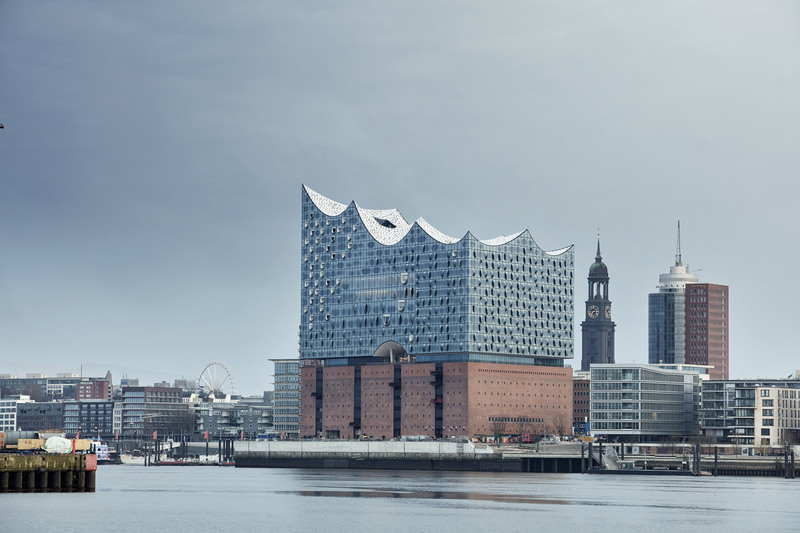 The Elbphilharmonie will be inaugurated on 11 January 2017, although the Plaza will already be publicly accessible from November 2016.